Your elevator in Salt Lake City becomes useless if it breaks down and you can’t get it fixed. With proprietary systems, you would need someone with access to specific parts and tools. When it comes to non-proprietary equipment, on the other hand, it should be much easier to get your elevator back up and running . 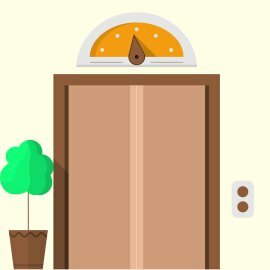 Getting back on track as soon as possible is crucial whether your elevator is in your home or your office building, and non-proprietary equipment can help you do so more quickly and efficiently. Read on to learn about the long-term savings of non-proprietary equipment. The equipment used in elevator control is already specialized to begin with, so it shouldn’t be any more difficult for your technician to find the right parts. Unfortunately, proprietary equipment requires contractors to offer more limited services and options, and they have the freedom to raise their prices. Non-proprietary equipment doesn’t require any special skills or tools, which means prices will be competitive and flexible. Manufacturers will also be required to offer contractors and end users their support. Since it’s inherently easier and cheaper to get non-proprietary equipment back in shape, this can be a great area to save money. Getting stuck in an accessibility elevator in Salt Lake City might not be a big deal for some people, but it’s a nightmare for others. There are certain things you should do to get yourself out of this potentially uncomfortable situation, and there are others that you shouldn’t. Call for help when you notice that you’re stuck in the elevator, but never try to force the door open. 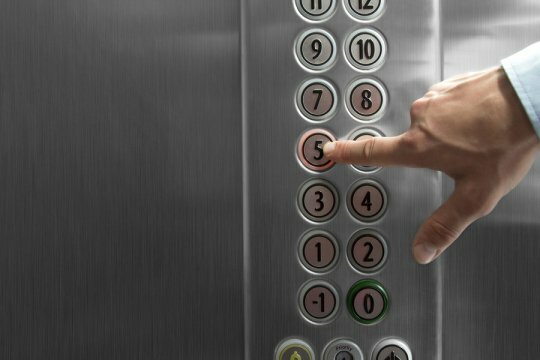 Do your best to remain calm until help arrives, and continue reading for the dos and don’ts of getting stuck in an elevator. Whenever you find yourself in a bind, your first instinct is probably to call for help. This is exactly what you should do when you get stuck in an accessibility elevator, and there are a few ways you can do it. First, try the help button on the elevator panel. It’s important to distinguish the help button from the button that opens the door, as opening the door might not be feasible. If these buttons don’t work, see if you get reception on your cellphone so you can call for help that way. 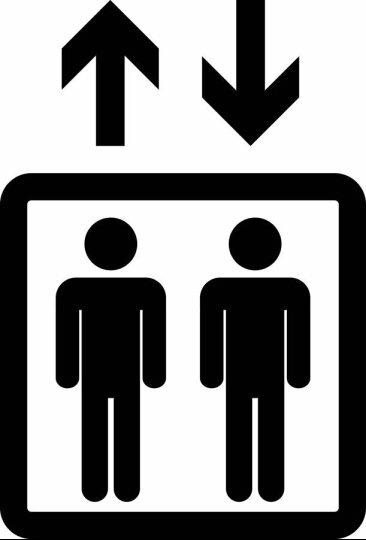 Being trapped in an elevator can be uncomfortable, and it can be especially difficult for people with claustrophobia. As desperately as you want to get out, never try forcing the elevator door open. You could damage the opening and closing mechanism, which may then require elevator repair. If you are on an upper floor of a building with several stories, you also run the risk of falling into the elevator shaft when you force the doors open. It’s better to wait a little longer to get out of the elevator than to risk falling down the hoistway. There is rarely much you can do while you are stuck in an elevator, which could make it even easier to panic. It’s important to realize that being stuck in an elevator is not dangerous. Take a few deep breaths and try to calm yourself down so you can be as comfortable as possible while you wait for help. Why Is Non-Proprietary Elevator Equipment Preferable? Elevators have completely transformed our ability to access the various floors of a building. In order to ensure that your elevator remains in safe operating condition, you will want to schedule regular elevator services for your building. When you are getting ready for an elevator installation , you may want to talk to your elevator contractor about the benefits of choosing non-proprietary equipment. Selecting non-proprietary equipment will ensure that any repair technician who inspects your elevator will be able to perform effective repairs. Here is an overview of why non-proprietary elevator equipment is preferred by most building owners. When you choose non-proprietary equipment for your elevator, you can rest assured that your final installation will be easier to maintain. By definition, non-proprietary equipment can be maintained by any technician who is properly trained. Proprietary equipment, by contrast, may require a technician to know special maintenance codes or other information. If you want to make sure that your elevator can be quickly repaired, you will want to go with non-proprietary equipment. As an elevator operates, its many different parts will experience wear and tear. In order to avoid a safety hazard in your elevator, you will need to replace old parts before they start to wear down too far. A non-proprietary elevator system will allow you to easily find and purchase the parts that you need to fix your elevator. Many non-proprietary elevators use interchangeable equipment that can be purchased anywhere. With their ease of maintenance, non-proprietary elevators are generally very safe. To guarantee the safety of your elevator, you can have a technician inspect its maintenance panel at regular intervals. Since non-proprietary elevators use built-in diagnostic systems, they can easily alert the operator in the event of a maintenance emergency. Be sure to ask your elevator company about the terrific advantages that a non-proprietary system has to offer your building.